Prime Time Radio is the distributor for Zydeco Nation. Produced by AARP, it is recognized as the premier program on public radio to focus on issues of concern to older Americans and their families. With syndication on nearly 200 stations across the country, Prime Time Radio leads the way in exploring the issues that comprise the next social and political frontier in America: aging. From celebrities and authors to scientists and politicians, with diligence, wit and humor, it confronts the challenges facing all of us as we age. Prime Time Radio has created a special page for this project: http://www.aarp.org/zydeco. In addition to distribution to its own stations, it is also making the show available to stations outside its network. Angel Livas is the executive producer for Prime Time Radio and director of radio for AARP. Livas oversees the production and distribution of four nationally syndicated radio programs: Prime Time Radio, Prime Time Focus, Prime Time Postscript and Movies For Grownups; and Ask Jane, an Internet Radio program, hosted by Emmy Award-winning journalist Jane Pauley. Livas has spent more than ten years working in the communications realm. 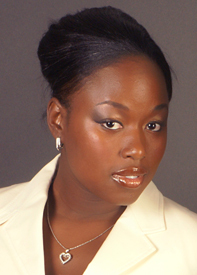 She launched her career in Washington, D.C., as an associate producer at WHUR-FM. She transitioned into television as a producer for Bloomberg Television’s Money & Politics and later moved on to nightly news at WBAL-TV in Baltimore. Livas obtained her master’s degree at The American University, with an emphasis in interactive journalism, and her bachelor’s degree in broadcast journalism from Howard University. In her spare time she assists small business owners with marketing through social media platforms, and mentors young girls in underserved areas. Mike Cuthbert is the host of Prime Time Radio’s weekly broadcasts. He is a veteran radio professional, musician and teacher who has worked in classical and talk radio formats. He began as a teacher and musician in the Midwest, ending his teaching career at Ripon College, where he moved over to the local radio station to run the FM side and do sports play-by-play. 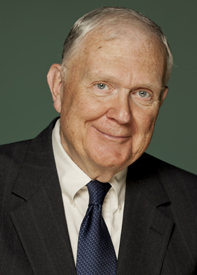 He then moved to Washington, D.C., where he served as program director of one of the leading commercial classical stations in the country, WGMS. The station won its only Peabody Award under his direction. After that he shifted to news/talk and developed a radio career in three major markets: Cincinnati, Boston, and again Washington, where Cuthbert won two awards for interviewing at public radio station WAMU. His last station was WWRC in D.C., and after that Cuthbert became host of Prime Time Radio. For several years he conducted the Falls Church Concert Band. Mike is also an aspiring novelist, short story writer and sportswriter and movie reviewer for a suburban Washington newspaper. 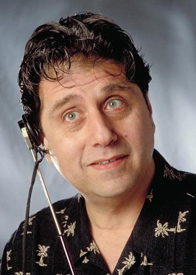 Ben Pizzuto is the engineer for Prime Time Radio. He began his career and spent more than two decades in New York, building a strong base in film and TV mixing and radio spot production. Through that time he was a television/broadcast producer, winning numerous Clio, ADDY and ANDY awards; and a sound designer for many years at United Recording Labs. In 1993 Pizzuto arrived in Atlanta and joined Catspaw Productions as senior producer/engineer. There he created spots for clients like American Express, along with image and sweeps spots for many television stations around the country. Later, at Crawford Communications, he worked on both corporate projects and TV promo production for LAPTV (a Latin American cable movie network), The Travel Channel, and Turner Broadcasting. He also recorded the Salvation Army’s weekly radio show. Recently settling in Washington, D.C., to help build AARP Broadcast’s sonic signature, Pizzuto now produces the audio content for Prime Time Radio, Movies for Grownups, Viva Su Segunda, and Viva Minuto, in addition to My Generation and Inside E Street, the two weekly shows that AARP broadcasts on public television.